A delight infusion of blue and white blooms perfect for celebrating that special occasion. 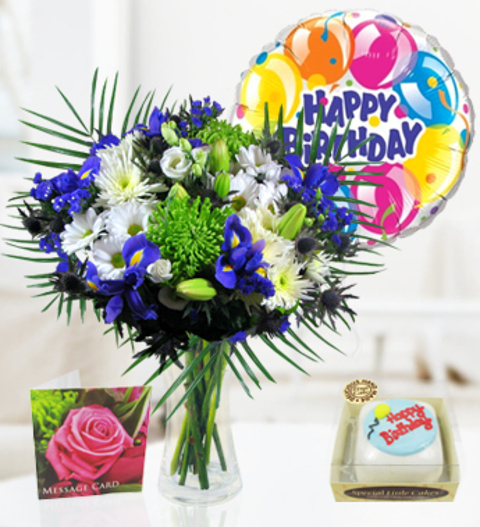 This beautiful blue birthday bouquet is a perfect way to celebrate a loved ones birthday and thanks to the long lasting blooms used will last well beyond the celebrations. Not forgetting this bouquet comes with a birthday stick balloon (4.5&apos;) and a delicious mini birthday cake. Chocolates may contain nuts.